LaVelle's Wine Bar and Grill is a gem of a venue located just north of the Gateway Mall area on International Way in Springfield. After a fall break, we are back with some new songs to add to our old favorites.Come out and enjoy beautiful music, a wonderful wine selection, delicious food, and a relaxing atmosphere. No cover charge. It's a festival friends that starts at 6:30 pm. Won't you please join us? Please join us for a soulful evening of music, storytelling, laughter and good times. The Creswell Coffee Company is a little live music gem. 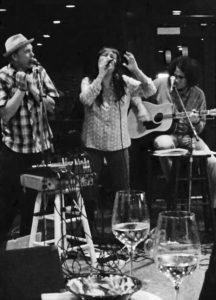 It has an intimate environment with great acoustics, delicious food and drink, and fabulous service.Creswell Coffee Company is set up for music lovers who are true listeners, and it is one of our favorite place to perform. This will be a great time. We especially hope that YOU can join us. A small cover charge, all ages welcome! LaVelle's Wine Bar and Grill is a gem of a venue located just north of the Gateway Mall area. Come out and enjoy beautiful music, wonderful libations, delicious food, and a relaxing atmosphere. No cover charge. It's a festival friends that starts at 6:30 pm. Won't you please join us? Please join us from 6 to 9 pm as we celebrate life with our own special blend of soulful acoustic music. Enjoy good food and drink in a venue that is legendary in the Eugene music scene. After work, grab your baby and come straight to Mac's! No cover charge and all ages welcomed. 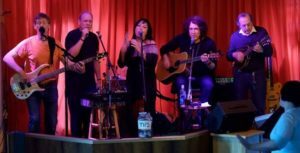 The Traceys will be performing their lovely blend of Acoustic Soul Music on Sunday, May 20 in the beautiful woodland setting of Mount Pisgah Arboretum. This performance will be part of the musical line up associated with The Wild Flower Festival. Bring the whole family, a blanket, picnic goodies, and enjoy a warm spring evening of good times and wonderful music. Please join us from 9 pm to midnight as we celebrate spring beautiful spring with our own special blend of soulful acoustic music. Enjoy good food and drink in an exquisite atmosphere that is legendary among the venues in the southern Willamette Valley. Grab your sweet heart and come out to get your weekend off to a wonderful start. No cover charge ! LaVelle Vineyards is located out in the picturesque hills near Elmira, a short 20 minute drive from Eugene. It's a beautiful setting to enjoy some of the finest wines produced in the Willamette Valley. Join us as we share our blend of soulful acoustic music. No cover, a gorgeous back drop, excellent food and drink, and music to touch your heart and caress your soul. Treat yourself! Please join us from 7 to 10 pm as we celebrate life with our own special blend of soulful acoustic music.To help celebrate our return to Mac's, they are offering Throwback Thursdays $3 Drink Specials featuring a different drink special every 30 minutes: 5pm-5:30pm Any house wine 5:30pm-6pm Margarita 6pm-6:30pm Vodka martini 6:30pm-7pm Manhattan 7pm-7:30pm Rum & coke 7:30pm-8pm Gin & tonic 8pm-8:30pm Cucumber press 8:30pm-9pm Any Beer 9pm-9:30pm Any well drink 9:30pm-10pm Mactastic Cosmo 10pm-10:30pm Any well drink 10:30pm-11pm Old fashioned Enjoy good food and drink in a venue that is legendary in the Eugene music scene. After work, grab your friends and come straight to Mac"s! No cover charge and all ages welcomed. LaVelle Vineyards is located out in the picturesque hills near Elmira, a short 20 minute drive from Eugene. It's a beautiful setting to enjoy some of the finest, award winning wines, produced in the Willamette Valley. 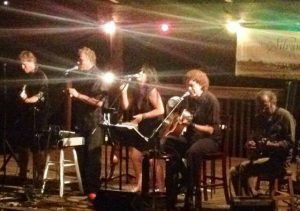 Join us as we share our blend of soulful acoustic music as part of their Friday Night Flights Summer Concert Series. No cover, a gorgeous back drop, excellent food and drink, and music to touch your heart and caress your soul. There's no better way to celebrate a warm summer evening. Treat yourself! Please join us from 5:30 pm 8 pm as we celebrate summer sweet summer with our own special blend of soulful acoustic music in the beautiful Heritage Courtyard in the middle of the Oakway Center in Eugene. Enjoy good food and drink in a venue that offers several restaurants that offer courtyard dining, or bring a blanket and a picnic lunch and relax on the Oakway's beautiful and spacious lawn. After work, grab your best friends and come straight to The Oakway Center! No cover charge and all ages welcomed. Silvan Ridge Winery is located out in the picturesque hills west of Eugene. It's a beautiful setting to enjoy some of the finest wines produced in the Willamette Valley. A stunning feature of this venue is their wonderful natural amphitheater perfect for relaxing with friends and family. Join us as we share our blend of soulful acoustic music. A warm summer evening, a gorgeous back drop, excellent food and drink, and music to touch your heart and caress your soul. Who could ask for anything more! The Eugene Saturday Market is one of our very favorite places to perform. Located in the park blocks in downtown Eugene, Oregon, it was one of the first places our band played back when we started in 1989, and we've been blessed to play there almost every summer since then. There just aren't very many places in Eugene that are better for hanging out, grabbing a delicious bite to eat, finding that perfect hand made item for that certain special someone, and people watch on a sunny summer Saturday afternoon. Come on down for some wonderful music, and enjoy the atmosphere in what we lovingly refer to as "The Heart of Eugene". Please join us for a soulful evening of music, storytelling, laughter and good times. The Creswell Coffee Company is a little live music gem. It has an intimate environment with great acoustics and fantastic servers and service. Excellent food and drinks.Creswell Coffee Company is set up for people to truly listen, and it is one of our favorite place to perform. This will be a great time. Hope you can join us. All ages welcome. 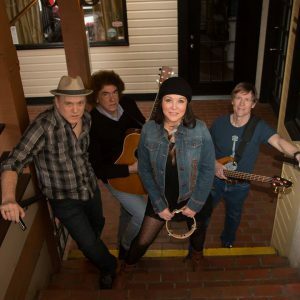 The Traceys will be performing Acoustic Soul Music on Thursday, August 16 in the beautiful woodland setting of River Road Park beginning at 6 pm as part of their Concerts in the Park summer concert series. Bring the whole family, a blanket, picnic goodies, and enjoy a warm summer evening of good times and wonderful music. 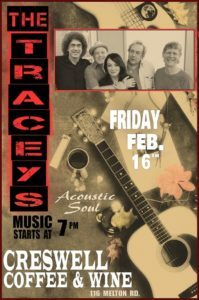 The Traceys will take their special blend of Acoustic Soul Music to the patio directly outside of 16 Tons Cafe located at 2864 Willamette St., just to the right of Market of Choice. 16 Tons has wonderful food, several fine brews on tap, and delicious coffee that perfectly goes along with what promises to be a delightful summer evening with music from our hearts to yours. All ages and no cover... Won't you please join us ? Please join us from 6pm 8pm as we celebrate the coming of fall with our own special blend of soulful acoustic music in the beautiful courtyard in the middle of the 5th Street Public Market in Eugene. Enjoy good food and drink in a venue that offers several restaurants which offer courtyard dining. Come by straight after work, grab a beverage, and enjoy a wonderful evening of music. No cover charge and all ages welcomed.